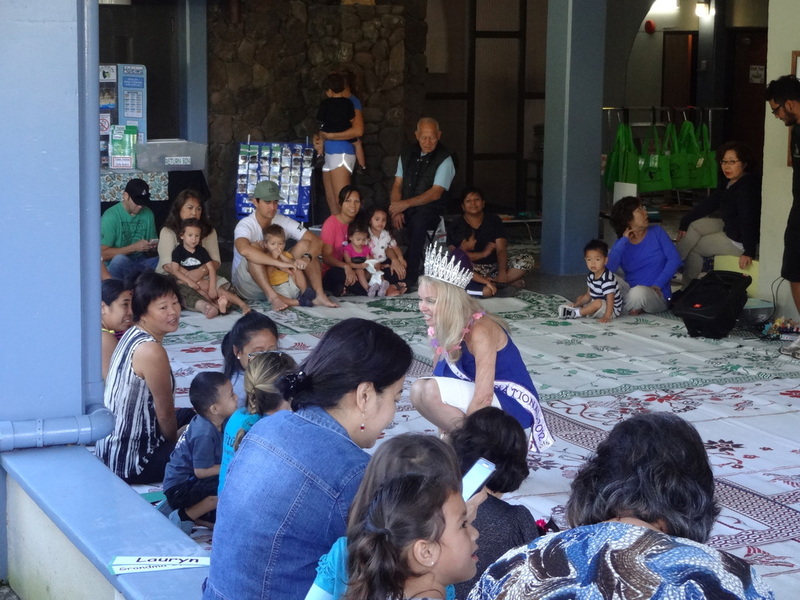 Dana Rickard, director of the Hawaii International Pageants, was an amazing hostess during Sarah and Joe's time in Hawaii. 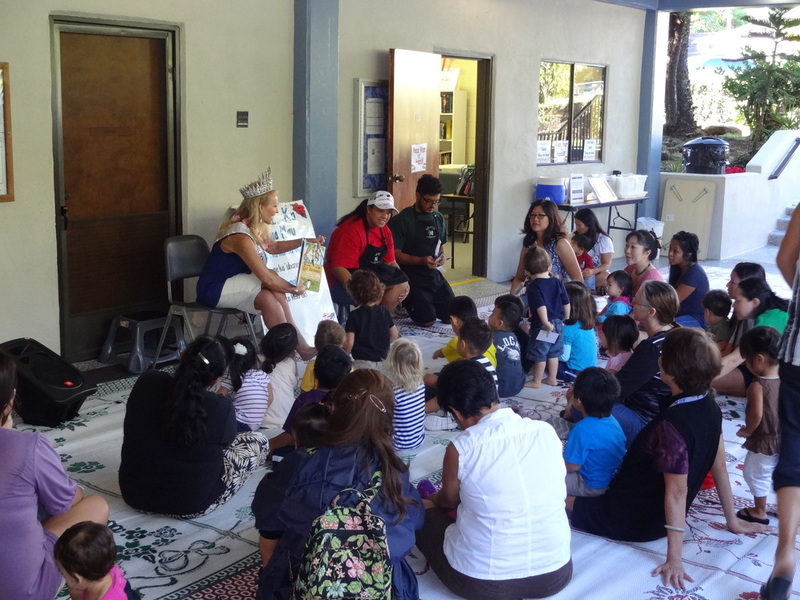 The morning started with a book reading at TuTu and Me Preschool, which was truly an amazing time to connect with the little ones of Hawaii. 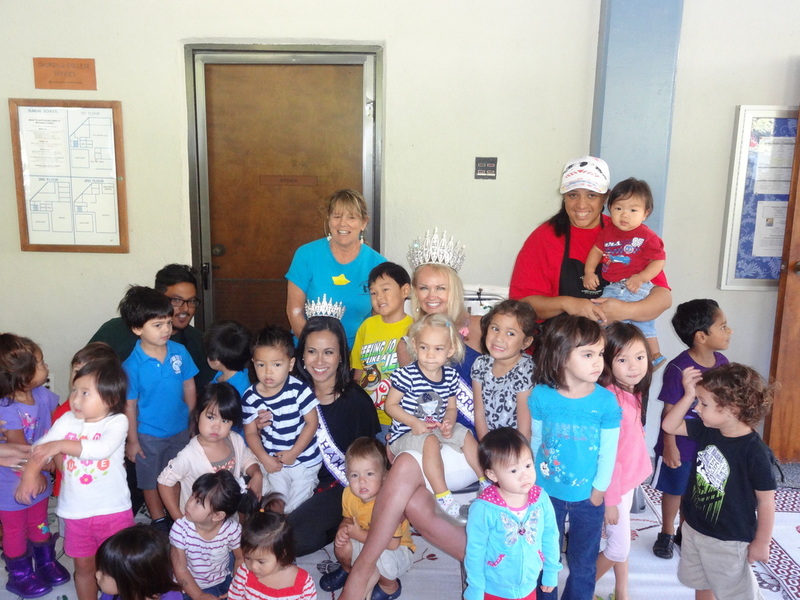 Sheri Taflinger, Mrs. Hawaii International 2012, also joined in the fun! 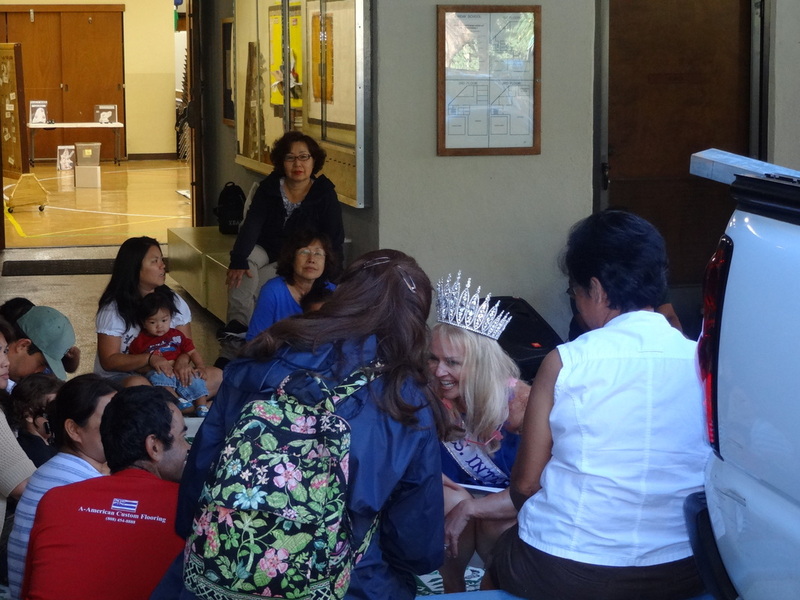 The next stop was the Queens Medical Center, which was only a short drive from TuTu and Me Preschool. Sarah, Joe, Dana and Shari were given an informative tour of the Women's Health Center, had the opportunity to meet with doctors and care staff, interactions with youth in the psychiatric ward and a stop in the Diabetes Center. The visit and the people will always be remembered as a very special part of the journey. 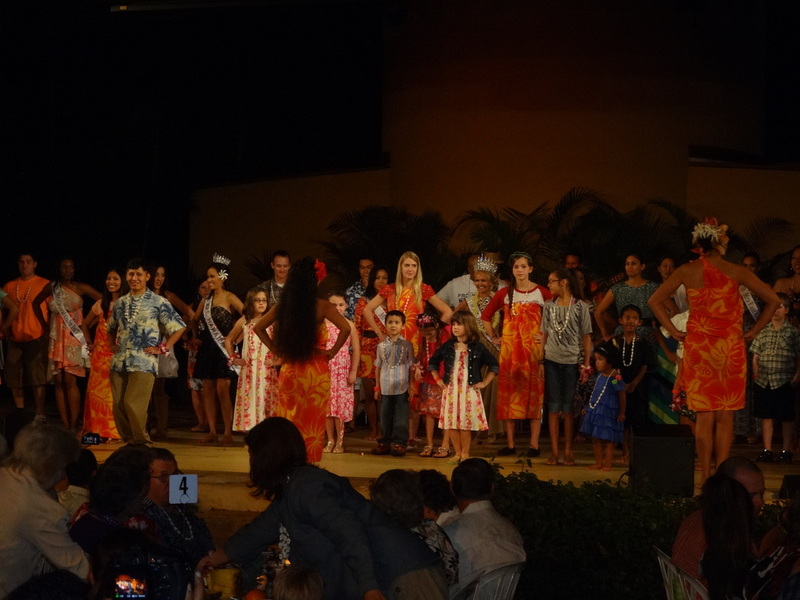 The Luau is a special way to celebrate Hawaiian culture and taste a variety of local flavors. 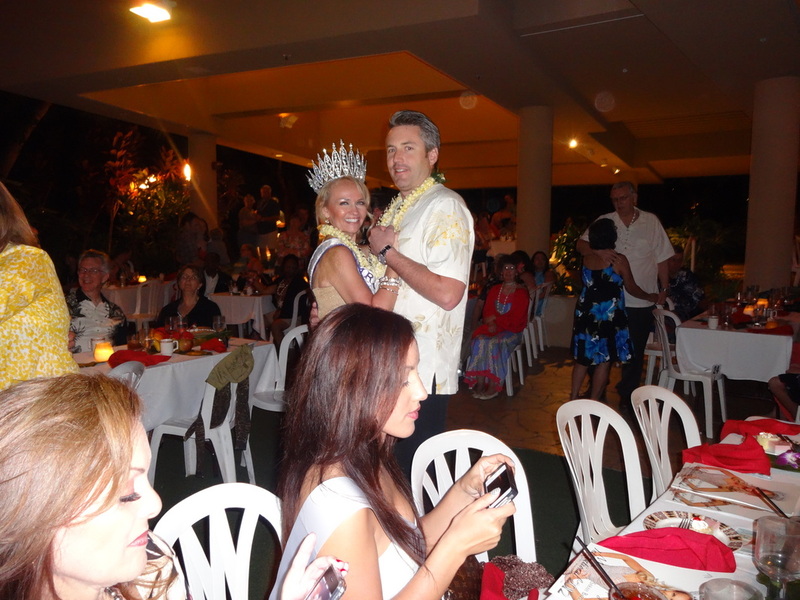 It was such a treat for Sarah and Joe to share this experience with the 2013 Mrs. Hawaii International contestants.